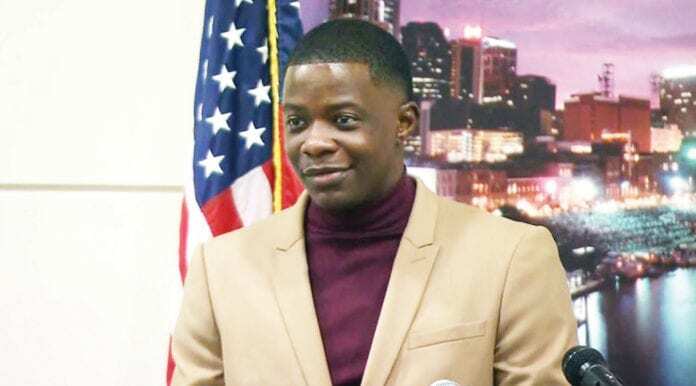 TSU alumnus James Shaw, Jr.
NASHVILLE, TN (TSU News Service) – Tennessee State University President Glenda Glover says the university is “extremely proud” of alumnus James Shaw, Jr., who is being hailed a hero for wrestling an assault rifle out of the hands of a gunman at a local Waffle House. Shaw, 29, has been humble about his actions on Sunday, saying he’s really not a hero. and father James Shaw, Sr. 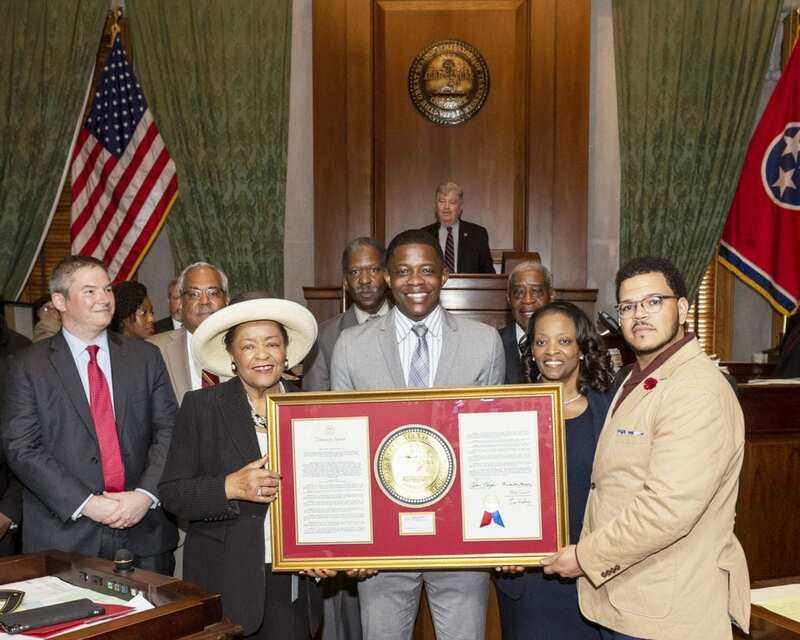 Being honored in the House, Front row l-r; Brennan McMurry, James Shaw, Jr., State Rep. Brenda Gilmore, mother Karen Shaw and father James Shaw, Sr. 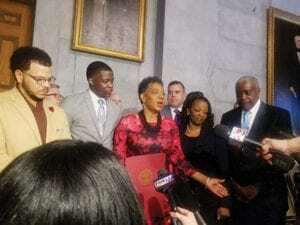 Previous articleIs it Safe to Drive With Narcolepsy?